Earlier this year, Amazon kicked off its Prime Exclusive initiative that offers discounts on unlocked smartphones in exchange for lock screen ads and Amazon apps on the phones. Today a third phone is joining the Prime Exclusive program. The Moto G4 Play is now available for pre-order from Amazon, and its pricing starts at $99.99 for the Prime Exclusive model. With this version, you’ll see personalized ads on the lock screen of the phone as well as preinstalled Amazon apps. This version is only available to Amazon Prime subscribers. If ads aren’t your thing, you can also pre-order the regular Moto G4 Play for $149.99. This version is available from Amazon as well as Motorola, B&H Photo Video, and Best Buy. Both it and the Prime Exclusive model will begin shipping on September 15. 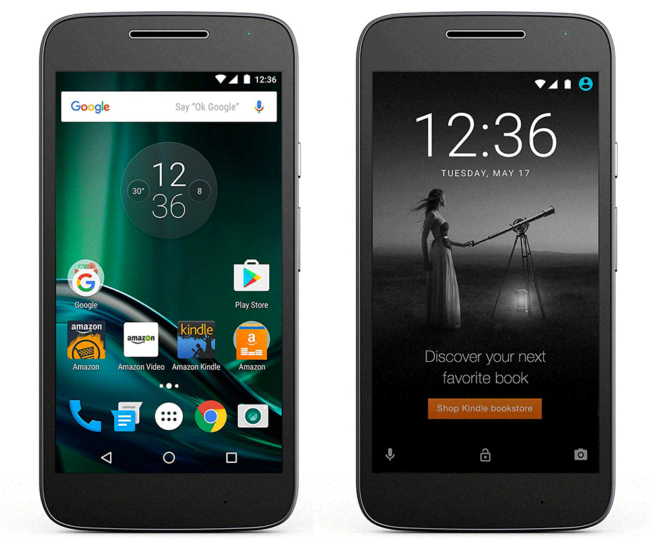 The Moto G4 Play runs Android 6.0.1 out of the box and features a 5-inch 1280×720 display, 8-megapixel rear and 5-megapixel front cameras, 16GB of storage, and a microSD slot for adding even more storage. Rounding out its feature set is a quad-core Snapdragon 410 processor, 2GB of RAM, a water-repellent coating, and an 2800mAh battery. 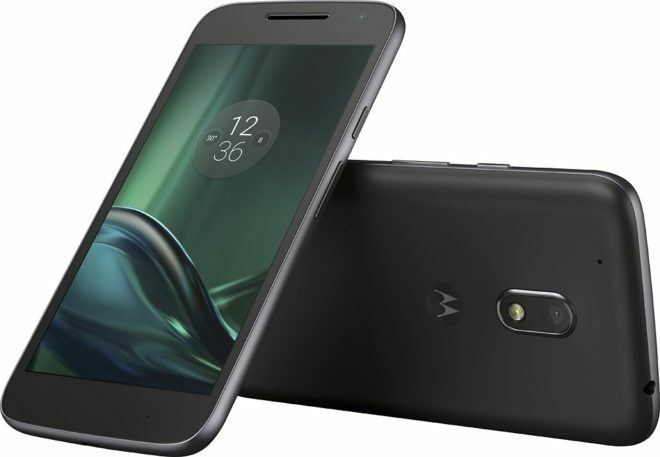 When it comes to wireless connectivity, Amazon lists the Moto G4 Play as being fully compatible with T-Mobile and other U.S. carriers. Motorola’s spec page lists support for LTE bands 1, 2, 3, 4, 5, 7, 8, 12, 13, 17, 25, 26, and 41. I reached out to Motorola about T-Mobile band 12 LTE, VoLTE, and Wi-Fi Calling and was told “it does support band 12 LTE and VoLTE.” The Moto G4 recently launched and has been confirmed to work with T-Mo band 12 LTE and VoLTE, so it seems likely that the G4 Play will, too. To get a closer look at the Moto G4 Play, hit up the links below. That actually seems like a good deal. Not bad at the “full price” of $150 (if you choose to forgo the ads) either. I’ve got the regular G4 with the ads. I can’t recommend it enough. The Play model would be good for a kid. Can’t recommend it ENOUGH. The Moto G4 is fantastic hardware for the money…and the Amazon ads are not intrusive at all. It’s easy enough to get around them too. Agree, for $125 completely worth it. Only downfall is no NFC for Android Pay. Luckily i was quick enough to unlock the bootloader before they stopped it. When you’re talking $99 and $125 (what I paid for the G4) you’re going to have some sacrifices. I’d be concerned about the “water repellent coating” they are talking about. Could be some form softplastic, the type that peels off or becomes sticky. As usual for Moto, no WiFi calling. T-Mobile wifi calling is a top feature for me. Sometimes in a remote area or in a basement wifi is available when a tmobile cell signal is not.